What is the best online project management tool for developers? The best online project management tool for developers is Backlog, a complete and comprehensive management tool that caters to software developers’ agile needs. Backlog provides tools and features for project management, bug tracking, task management, and version control. It’s free for teams working on a single project with less than 10 members. Agile is the future when it comes to software development. The software development industry is getting more and more competitive by the day and teams need a workflow method that can easily adapt to changes. Teams that are prone to delays, cost overruns, and poor results quality need to rethink their overall process. Gone are the days where developers utilize the top-down approach. Harvard Business Review suggests that now is the time to integrate agile methods in your workflow for your team to conquer the future and not be left behind. This article aims to point you in the right direction. 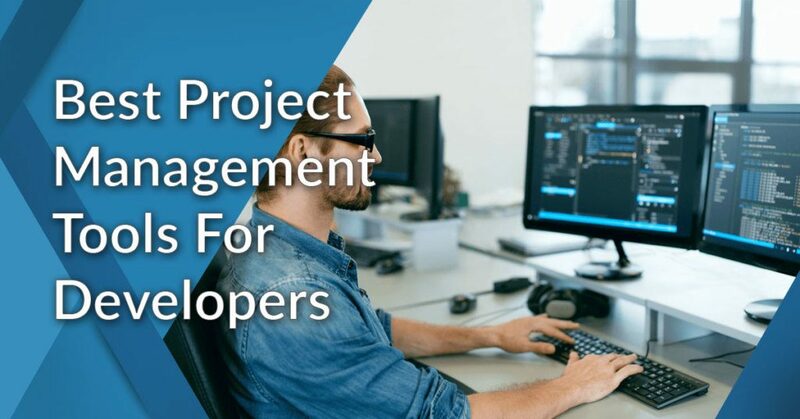 This article will discuss the best online project management tools for developers, which have the features to address the top concerns and challenges facing developers. We will also brief readers with important points and factors that should be considered when choosing an online project management tool. This list aims to give CIOs and developers an efficient way to shortlist their options in one sitting. What are the best online project management tools for developers? Over budgeting is a result of poor monitoring, tracking, and communication. In this instance, a project management software with budget forecasting is a big help. Delay is often caused by poor communication and can mess up the entire project’s process, for instance, when it comes to organization of feedbacks and fixing bugs. Delay is also caused by a team’s failure to promote and focus on accountability and transparency. Most project management solutions today have built-in collaboration and communication tools like chat, @mention, activity feed and direct inbox to address this issue. Poor results equate to unhappy clients and unhappy clients can trigger blocked project opportunities. Clients end up unhappy with poor results when no clear communication pathway exists between developers and their clients. Developers also end up with poor results when clients don’t have access to project updates and are unable to track and monitor project developments. A project management system with excellent reporting & analytics feature is a huge plus to help you keep tabs on the project’s progress. A close analysis of the top problems will reveal the following challenge areas when it comes to developing software: monitoring, access control, communication, change management, scalability, and invoicing. Agile methodologies and practices can fix these following problem areas. This very methodology was birthed by software developers and its about time that these tools are fully incorporated by all. Consider the following top factors with your team’s unique needs and preferences to come up with the best online project management tool. Should you want to do more research on project management software in general, consider our guide on project management software types, features and trends. Backlog is an easy top choice with its complete and comprehensive project management tools that specially cater to software developers and their agile process needs. Of the list, it’s the only online project management tool particularly designed for app developers and website programmers aiming to simplify collaboration and communication with members and inter-departmental teams. It’s also ideal for startups as teams working on a single project with 10 members or less can use it for free. Backlog provides tools and features for project management, bug tracking, task management, and version control. A standout tool is its project tracker that organize projects according to priority. One of the top problems for developers is communication with stakeholders. Backlog solved this by making its tracker accessible to all. Moreover, the tracker has a clean and simple interface that even non-developer stakeholders will find easy to use. It’s a robust tool because it brings both developers and stakeholders on the same page in an instant. Backlog also has a code review tool that targets to minimize bugs and trouble areas via centralized Git and Subversion repositories that allow the entire team to review each member’s code before projects go live. Should you want to investigate the software firsthand, you can easily do so when you can sign up for the Backlog free trial here. Backlog delivers projects at a faster rate through its visual take on software development via Grant Charts, Burndown Charts, and Git Graphs. In addition, all Backlog tools and features are fully adaptable to agile methodologies making it ideal for developers who thrive on teams that work on Scrum and Lean principles. Backlog integrates with Slack, Jenkins, Google sheets, Typetalk, and more. It is cloud-based with a downloadable mobile app making it easy for team members to collaborate via various iOS and Android platforms. Pricing differs depending on the number of users and projects. All packages come with free cloud storage. Backlog can be purchased for as low as $20/month. Wrike is a strong second on our list with its cloud-based project management software that all types of businesses can use including the software industry. Wrike tools for organizing, planning, collaborating, and reporting allow software development teams to organize projects and goals into tiny manageable tasks. These tools easily integrate with third-party software like Gmail, IBM, DropBox, and Google Drive. Wrike is scalable and is ideal for software development teams that work with multiple departments with different natures and job orders like marketing teams and creative teams. It’s also important to note that if you’re developing a software product with a team that has less than five members, you can use Wrike for free. Wrike has tools that curtail overspending and bugs. Developers can easily troubleshoot and adjust schedules with its visual Gantt Chart that zones in on the distribution of human and finance resources. For bug fixes, it has a centralized review system that has a direct feedback loop. This smooth system prevents version control errors because all feedbacks are organized in a single hub without the need for external files to be referenced. Furthermore, Wrike has an expanded feedback option with tools that allow developers to have text highlighted, images clicked, and time marked. Approval logs with edit timestamps are also available. Wrike allows for a continuous workflow via an app that team members with Android and iOS devices can use whenever and wherever. Wrike can be purchased for as low as $9.80/month. Used by more than 50,000 international teams, Monday.com provides advanced tools for planning, organizing, and tracking projects that suit developers with varying agile practice requirements and needs. Formerly known as dapulse, Monday.com is an Israeli-based project management tool that fit developers with teams that put prime on security and scalability. Developers working on highly classified projects will benefit from the next-level security that Monday.com offers. Its boosted security design makes Two Factor Authentication available to all users across all service packages. For a price, Google Authentication is even available. It also uniquely provides four fully scalable service packages to its users. With a diverse pricing plan, five users can opt to use tools that are normally only available to teams with 200+ users.  As opposed to other online project management tools that limit tools to a certain number of users, Monday.com offers all packages with no user cap. Teams with 200 members can opt to use a basic package that would only cost $1000/month while teams with only five members can opt for enterprise-level tools for only $118/month. You can easily sign up for a Monday.com free trial here and get to know the features firsthand at no cost and without commitment. Monday.com has an open API system that can easily integrate with third-party apps. Its default design readily integrates with numerous Google apps, Asana, Slack, Trello, and more. Developers can create an unlimited number of boards that can run Kanban methods. Moreover, scheduling via Gantt charts is provided. Monday.com bills annually and developers can purchase it for as low as $25/month. ProjectManager is an online management tool that’s ideal for developers with teams that work on-the-go and prioritize integration with its cloud-based software that runs on any device and the 1,000+ third-party apps that it readily syncs with. ProjectManager currently handles 2,000,000+ projects from different companies including NASA, Volvo, and the United Nations. These companies have fast-moving international projects similar to the nature, demand, and pacing of software developers. ProjectManager has agile and waterfall tools that enable developers to plan every minute details of every project, every single step of the way. Monitoring is also easy with its real-time dashboard that incorporates Kanban Boards, Gantt Charts, and portfolio management features. No preliminary download is needed to access ProjectManager. In addition, a dedicated app is provided for team members with Android and iOS devices. ProjectManager can be purchased for as low as $15 per user/month. Zoho Projects is also on our list for its expanded set of planning tools that personalize and enrich user experience. Used by more than a million businesses, Zoho Projects has strong project management tools that enable team leaders and developers to save time. This online project management software is ideal for developers who wish to streamline administrative duties and focus more on developing and finishing tasks. If you don’t enjoy housekeeping, Zoho Projects is the ideal project management tool for you. A solid Zoho Projects feature that illustrates this is its time tracking tool that monitors both billable and non-billable hours. Zoho Projects automatically record billable hours and readily integrates with Zoho Invoice. In just a click, an invoice can be generated any time requiring no dedicated hours for file pull-up and computing. You can use all the features for free for a period of time to see if the software matches your needs. Simply sign up for a Zoho Projects free trial here. When it comes to planning, teams can create blueprints and have task assignment and workflows fully automated. Users can freely practice agile methods with Gantt charts and deviation trackers. Planning features that zone in on milestones together with personalized task lists enrich user experience. Zoho Projects integrates with Zoho apps and numerous third-party software like Google Calendar, Microsoft Excel, and DropBox. An app for Apple and iOS devices also allows for fully mobile workflow management. Zoho Projects bills annually and it can be purchased for as low as $20/month. Zoho Sprints is a clear choice for purely agile teams. It’s a sleek project management tool that zones in on agile methods. Developers that thrive on a free and organic workflow use Zoho Sprints. It’s a clutter-free software that allows teams to easily accommodate change with tools that allow for the creation of user stories, estimation, scrum boards, code review, and more. Its very design works to accommodate change while seamlessly working with clients. It’s packed with agile tools like velocity charts, Cumulative Flow Diagrams, and burn-down reports. Zoho Sprints analyzes each sprint and deliver performance reports that can be utilized for continuous improvement. If you want to investigate the features closely you can easily do so when you sign up for a Zoho Sprints free trial here. In addition, it provides a real-time feed for every project where discussions and feedbacks can be instantly made. Team members can download mobile apps where they can receive push notifications for meetings and reviews. Zoho Sprints also provide Timesheets to ensure that clients are updated and informed on how their money is being spent. You can purchase Zoho Sprints for as low as $10/month. Asana is a known online project management software that developers can utilize to manage individual tasks, big projects, and business goals. It has a deadline-focused design that simplifies organization. It’s ideal for developers who put a prime on staying on track and hitting deadlines. Asana shines with its mapping tools that allow users to carefully plan and mark every tiny task. These tools allow team members to go agile and freely do their work and just always return to the big timeline whenever bumps are encountered. Team leaders can easily see where a task stands with interactive timelines and calendars. It’s fit for teams that thrive on agile methods for it has monitoring tools that allow developers to easily spot holes and tasks that overlap. This way, all active tasks are clearly monitored and adjustments are instantly made to prevent delay and always hit the deadline. Asana also allows users to categorize each task according to priority. It also sends daily push notifications to remind team members of their pending tasks. Asana integrates with more than a hundred third-party apps including Gmail, Slack, Github, and more. It’s available for free and its premium tools can be purchased for as low as $9.99/month. Smartsheet is the leading online project management tool for large-scale enterprises. Its ideal for developers for it can accelerate teams that work on agile methods with its tools that allow for easy configuration, adaptation, and improvement of work. Smartsheet increases productivity through transparency tools that promotes accountability and remove silos. It has robust file sharing tools that give allow each team member to fully explore and study the nature and limit of projects. In addition, every team member has access to tools that can improve workflow via interactive calendars, girds, cards, and Gantt. Code review is easy with its collaboration tools that can track edits and log errors through multiple workstreams. Smartsheet easily integrates with third-party apps like Dropbox, Gmail, Microsoft Excel, OneLogin, and more. It has a mobile app version that works on Android and iOS devices. Smartsheet is available in the market for as low as $14/month. Jira is a cost-efficient and scalable online project management tool ideal for developers who want to self-manage their servers. It offers flexible service packages with reasonable price points that allow users to choose between having a cloud-based or self-managed server. Jira is ideal for developers with teams that are gearing to expand with tools that work for teams of all sizes. Its fit for agile teams for it offers flexible boards and out-of-the-box workflows. In addition, developers can utilize Kanban and Scrum methods. Its standout tool is its search feature that makes bug error referencing faster and easier. No idea gets lost and all concepts can be easily incorporated in just a click. Jira integrates with numerous third-party apps like Tempo, EazyBi, and Github. There are also hundreds of in-app add-ons that developers can choose from. Jira is available in the market for as low as $10/month. Similar to Backlog, MeisterTask is a free online project management tool for developers. It’s ideal for developers who want to have full control of every single task, every step of the way. It’s a freemium software that packs a punch because it allows unlimited numbers of members access to unlimited projects and tasks with customizable dashboards and mobile apps at absolutely no cost. Developers who want full control will enjoy MeisterTask’s design where task relationship and linkage is front and center. This is a fertile field for agile teams to work on because tasks can be done uniquely and individually with enough precautionary measures and standards to monitor delays, blockages, and overlaps. Premium paying users have access to project automation and additional integrations. MeistarTask is available in the market for as low as $8.25. Nutcache is another agile-friendly project management tool that allows users to manage and monitor projects through continuous collaboration while staying on budget. It’s ideal for developers who aren’t yet too keen on using agile methods but are considering making the jump. Nutcache can cater to your teams needs whether you use agile or scrum frameworks. Its planner allows team leaders and managers to instantly see all tasks and their respective status. Team members can set milestones and managers can assign new cards at will. It has a nifty budget tool that sends alerts and warning notifications when a potential overrun is foreseen. In addition, it has tools that generate highly customizable invoices for team members and clients. Nutcache readily integrates with numerous third-party apps like PayPal, Slack, and Google Drive. It also offers an open API for more customized and personalized integrations. Nutcache is available in the market for as low as $6 per user/month. Projectplace is a leading web-based project management tool that’s ideal for developers who prefer both traditional and agile methods when it comes to delivering and finishing projects. It allows teams to have real-time communications via the sharing of files, links, and images in a highly secured platform. In addition, it has tools that organize and gather feedbacks in one hub. Projectplace offers expanded customization tools for Kanban boards with swim lanes, estimates, and WIP limits. Timelines are available for all via traditional charts or Gantt charts. Projectplace is a highly secured platform that uses two-step verification and role-based access controls. It is ISO 27001 certified and has an impressive 99.9% uptime. Projectplace integrates with multiple third-party apps like Dropbox, Google Drive, and Box. Android and iOS Mobile apps are available for download. Projectplace is available in eight languages and can be purchased for as low as $29.00 per user/month. VivifyScrum is an agile project management software that individual developers can download for free for personal use. This software also boasts of unlimited Scrums, Kanbans, and boards to its free users. VivifyScum has numerous tools with agile roots making it ideal for developers that want to begin incorporating agile methods in their workflow. VivifyScrum zones in on project management, collaboration, and budgeting via the use of Kanban and Scrum boards. It provides a real-time one-hub tracking process that makes it easy for team leaders to monitor progress and pinpoint errors. A major plus with this software is it comes with free online lessons on Scrum methodologies. Any user with a VivifyScrum account can access this tool. It also has brand-sensitive invoicing tools. Premium paying users have access to unlimited integrations, storage, and active sprints. VivifyScrum is available in the market for only $8 per user/month. Axosoft is similar to Jira; it also offers a service package for developers who prefer a locally managed servers. Axosoft is a scrum software that fit agile teams that closely work together and envision a team that communicates daily. Axosoft is ideal for developers that work on highly critical projects that need daily collaboration and adjustment. This software can work on epics and unlimited user stories. Axosoft has a planner that can calibrate the performance and capacity of your individual member, teams, and projects. It gives access to unlimited sprints and organizes task via stack ranking. In addition, it has real-time edit of item cards and logs can be done via simple drag and drop. Axosoft has a Daily Scrum feature that has an automated daily update function for teams that zone in on bug tracking. Axosoft’s visual tools include Item Charts, Burndowns, Speedometers and Flow Charts. It also has a nifty tool that summarizes and notifies members with remaining work. Axosoft has full Scrum support and can be purchased for as low as $20.83/month. Basecamp has been in the business of providing online project management tools since 2004. From handling only 45 accounts, it now has more than 3 million accounts signed up. It offers management tools for all types of businesses and its perfect for developers with fast-expanding teams. Basecamp tools that allow for real-time messaging, interactive to-do lists, scheduling, file storage, and automatic check-ins are agile-friendly. It has an expanded monitoring tool that boosts accountability and transparency in work. Team leaders can prioritize and re-order tasks prior to review and crashing. Communication is swift with its expanded chat functions. It is a cost-efficient option for expanding teams because its pricing is not based on the number of users. Basecamp has in-app add-ons and readily integrates with third-party software like Carabiner, Lodge, and Dashable. Basecamp offers just one service package that comes with all its features for an unlimited number of users and projects. Basecamp’s package is available in the market for $99/month and it comes with 500 GB of file storage. Azendoo is an online project management tool that zones in on communication. It’s ideal for developers that put prime on interactions, collaborations, feedbacks, and concept-sharing. Azendoo combines traditional workflow methods with agile methods. It mainly offers task planning and time tacking through visual boards. Developers can use task cards and separators that can instantly rank tasks according to importance. It has a handy snooze tool that can put and schedule projects that can be done at a later time. Through its integrations, users can easily reference and transform email into actual dashboard tasks. Tasks are interlinked making referencing easy. With its robust communication features, it can instantly transform message boards into actual tasks. Members can even subscribe to different tasks of other team members for prompt updates on inter-related projects. Members can also easily print comprehensive timelines and copies of tasks for closer evaluation. Polls, file sharing, and re-sharing are also for members to use. With ready in-app and third-party integrations, Azendoo is available in the market for only $8 per user/month. Software developers have created more than 17 million tasks with ProWorkflow. Its scalability and risk-free packages make it ideal for all kinds of teams from freelance developers to large enterprises that put prime on seamless housekeeping and security. ProWorkflow allows developers to focus on the software and go easy on administration with its automated tools that track billable hours, generate an invoice, and deliver daily performance reports. Its boosted security features allow for encryption and daily data backups fit for classified projects. It has an open API that allows for unlimited individualized integrations with third-party apps. In addition, it has a transparency tool that gives free access to clients so clients can track tasks and stay updated. Developers can try the ProWorkflow without a need for credit cards. It can be purchased for as low as $10 per user/month. ZenHub is an agile web-based project management tool that’s accessible right within GitHub. Zenhub is the only independent agile management tool that can work closely and seamlessly with GitHub making it perfect for developers that are already GitHub users. Its data drive agile-centered tools is its ultimate edge. ZenHub provides a centralized portal for all GitHub workflows and processes. It primarily offers planning, tracking, and release tools that enable users to easily delegate tasks in doable scales for faster completion. In addition, completion is accomplished at a faster speed via Kanban-like Task Boards, Burndown Charts, and time estimation tools. Users can purchase ZenHub for as low as $5 per user/month. Planview claims to be the global leader when it comes to resource management. Its wide array of agile-friendly tools make it ideal for developers who opt for strategic planning when it comes to project management. Planview offers expanded tools for strategic planning via roadmaps and scenario planning features that allow for model trade-offs. Through this, overruns and delays are prevented. Data analytics are available via daily reports with clients and stakeholders granted exclusive access. Apart from robust strategic planning tools, Planview also allows users to manage portfolio and resource with lean and agile delivery. Collaboration is easy across all dashboard fields with feedback, edit, and comment tools. Planview also offers financial reports. Planview integrates with multiple third-party business software and pricing is available by quote. Drutas is an online agile project management software that deserves the last spot and makes it to our top 20 cut for its robust capture tools that make error logging and bug fixing manageable. It’s ideal for developers who are keen on streamlining the process of fixing bugs via capture-supported seamless regression reviews. Drutas is an India-based software that packs a punch for the extensive tools that it provides for project management, time tracking, and administration. For project planning, it offers expanded backlog tools (product, release, and ticket) and unlimited user stories. It has features for Capacity Planning, Sprint Planning, and Scrumban. Its comprehensive time tracking tool allows users to create downloadable timesheets, filter projects, and control access. Drutas shines with its feature that can capture multiple bugs. Capturing is made possible via quick capture, email capture, and screen capture. User stories and ideas can be captured as well. Drutas integrates with Google Chrome, Mozilla Firefox, Google Drive, Gmail, Google Hangout, and Quick Capture. It’s available in the market for as low as $5 per user/month. Create a checklist for your team’s preference. For example, determine if your team prefer solely cloud-based software or ones where you can locally manage your server. Will your team need mobile apps or invoice generating tools? Once you’ve come up with your preferences, filter the apps that answer to these needs and pick the one that provides more user value. Upon choosing, go ahead and sign up for a free trial to see if the app is really a good fit for you and your team. Most of the products on our list provide free trial. Should none be available, you could always contact the vendor for a free demo. For example, you can sign up for the Backlog free trial here to find out why it is one of the most ideal solutions for agile-specific projects.